Anyone with a Ram1500 with the Pentastar 3.6? 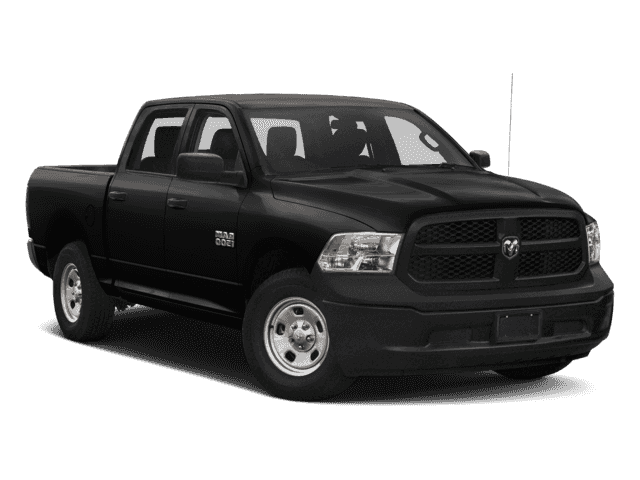 Curious if any of you are driving a 3.6 V6 in a Ram 1500. How has your experience been? Is it adequate for your needs? How does it tow? How does it off-road? And what's your MPG? Thanks. I know a guy that has one, I don't think he has any issues, I haven't heard of any. He doesn't tow anything but hauls some stuff in the bed. Overall I think he's satisfied with it, I would consider the eco diesel over that. My wife had a grand Cherokee with the 3.6, it was reliable and didn't have any issues. Thanks. I hate diesels. With the new emissions stuff, I just see too many (expensive $$$) problems. Buy in cost, maintenance, etc. just doesn't make sense for me. I don't tow much, either. I think the 3.6 would be great for me. Some people are reporting MPG in the mid-20's! I wish I could find one at a decent price. It'll be hard to get one exactly how I want it (Tradesman, steel wheels, Crew Cab, 32 gallon tank, 3.55 LSD, skid plates, back up sensors, bed lights and trailer brake control). Yes, I did look at the Rebel. It's a real nice truck. But really, the Tradesman has all I need. Seat, steering wheel, and 4WD. There is a substantial cost difference between the two as well. That's what worries me about the new diesels. Too many issues I see that aren't cheap to fix. I've got a Hemi Tradesman and it's just about right, IMO. I only wish I had the integrated brake controller, towing mirrors, and the 32gal tank; otherwise it was a far more economical choice than the Rebel, even after the Bilstein/Icon suspension and Rebel wheels/Toyo tires that I installed. I got the wheels/tires from a guy in TX who'd picked them up at a local dealer to put on his EcoDiesel. Unfortunately, his truck spent 7wks out of the 10 that he owned it in the shop, so he traded back to the dealer for a Cummins. He had a lemon. The Rebel is a sweet truck, but not worth the extra $10-12k over a Tradesman, IMO. I may still consider a new front bumper for my truck, but I haven't had any issues scraping dirt after the Bilsteins. That's what I like about the Tradesman. If I scrape the front bumper, who cares? It's just unpainted black plastic. I do dream of an AEV bumper on there (but not at what they're asking for it). I've owned 7 problem feee dodge trucks, 2 gas and the rest cummins, I have never had a problem with any of them. If I start ever having problems I will get a power wagon with the 6.4. Half ton won't work for me, but the rebel is a nice truck. For what it's worth I have the EcoDiesel and haven't had any issues in the past 3 years and 50K miles. I average 25 MPG all time and no emissions issues to be seen, if they occur I will likely deal with them for good. You've got to do you though, if you don't want the diesel I think the other options are good as well. I had a V6 rental after an incident with a concrete bollard and I had no complaints. Didn't off road test it or watch the MPGs close, but it did well on road and I wasn't begging for more power. My biggest concerns would be towing and bigger tires; if you don't plan to go big on either the V6 would probably be OK for you. But if I were deciding between the two, I'd spend the extra $1500 and eat the few MPG loss. Looking at Fuelly I see 19/20 for an average on the V6 and 16/17 for the V8, the HP and Torque differences are 90 and 141 respectively. I think the better of the situations would be to be out a little more cash rather than be under powered for what you are trying to do. Why do you want a V6 over a V8 with not a lot of MPG savings? I had the Pentastar in a Wrangler and 5.7 Hemi truck 1500 and 2500. No way I would want a truck with the Pentastar. I am leanin V6, because I am trying to be honest with myself. I won’t tow that much. At most, it’ll be a 5k lb trailer maybe once a year. Rest of the time, it’ll probably be a small ATV trailer that a Subaru could tow. From what I’ve seen, MPG differences are significant, as well as the initial buy in price. It appears they give more discounts for the V6. MPG, on the highway, it seems they are getting close to 25mpg. V8, barely 20mpg. That’s a big difference. I will maybe do a leveling kit, but not a lift. Stock size tires are also good with me. Again being honest myself. It’ll get me to all the trailheads and through the trails I want to go through. i havent driven the v6 ram but i will tell you this. when i stomp on my 5.7 hemi to pass or just for fun.... it brings a smile to my face. it's worth the lower mpg to me. I do love the sound of that Hemi as well. But while I appreciate raw power, I know myself---as soon as gas prices go up, I will hate the truck and its mediocre MPG. I am liking what I am finding on the little pentastar engine. Don't think anyone is really gonna recommend you get the Pentastar in such a big heavy truck over the Hemi. The MPG difference isn't that big. You've got your mind made up on the V6 so get what you want and report your findings to us. I just personally think that if you get bigger tires or tow anything you're gonna instantly regret getting the V6 more than you would regret getting the Hemi with lower MPG. I would also think you're gonna have a hard time finding someone to buy it from you with a V6 once the time comes to sell it. Just my opinions though. I do (sincerely) appreciate the inputs and concerns. As I've said, I'm not really looking to put on bigger tires or a lift. Towing will mostly be a very light ATV trailer. The Pentastar V6 is used in Jeep Rubicons, which are about 500lbs lighter. People put huge tires on them and seems like they do just fine. Yes, no powerhouse motor, but gets the job done. I tried to justify a bigger motor, but I just don't think it is necessary for me. I'm driving a V6 truck now (albeit smaller midsize), which is adequate. Resale is definitely a concern, though, as it will limit the potential buyer base. So obviously will have to price it accordingly. But with the lower upfront cost, lower operating cost, I think that will be made up.